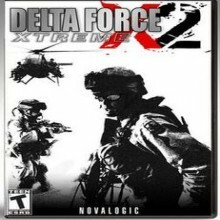 “Delta Force Xtreme 2” is a very lacking first-person shooter that will only appeal to a very select audience. For many years now, the “Delta Force” series has been getting very regular new releases. Almost every release seems like the exact same game, but with a new title and an extremely minor graphical facelift and this release is no different. With ugly visuals and combat that’s nowhere near as realistic as fun as games such as “Call of Duty: Modern Warfare”, this isn’t a game that many people are going to enjoy. The die-hard fans of the series will surely defend it to no end and stick with it, but most people will be left with a very sour taste in their mouth after trying this out. Let’s take a quick look at the newest release in the almost exclusively cult hit series, “Delta Force Xtreme 2”. This game is beyond ugly. Even by standards set in 2002, this game is not visually appealing. If you care about graphics, stop reading now and just walk away. This game is not a looker and has nothing short of bland textures, terribly unrealistic shadows and barely any lighting worth mentioning. After all of this time, I would think that this series would have at least a moderate face lift, but it just doesn’t seem improved at all. The soundtrack is basically non-existent, as the game focuses more on the sounds of combat than anything else. Guns don’t look or sound realistic at all, but the sound effects in general arent the worst I’ve ever heard. There’s not much to say about the sound other than that, though. It’s just very lacking. After loading up the game, firing up a match and selecting your class, you’re placed immediately into the action. The problem is, there’s just not much fun to be had in this so-called “action”. You just run around maps that feel far too large for most standard-sized matches, look for people to kill and hopefully score some kills before the match ends. It takes so long to find people sometimes, even in the most populated matches, that the game feels almost like an MMORPG in the traveling time sense. There’s really not much else to the game, though. Classes range from snipers to heavy combat soldiers and all sorts of other stuff, but they lack substance and really only determine which weapons you have. It’s very easy to kill or be killed in the event you actually find someone to have a gunfight, so at the very least, this game has a degree of realism going for it. There’s also a slew of decent-sized matches available at just about any time of day and there didn’t appear to be much lag, if any at all during my time with the game. There’s not a whole lot to say about the game, but I’m disappointed. I was actually moderately hyped to try the game out, but it just isn’t what I hoped for. Overall, “Delta Force” is a series that needs a serious improvement. In it’s current state, it’s not likely to be popular amongst anyone who hasn’t been playing the series forever. -Realistic damage results in very quick and satisfying kills. -Maps are far, far too large for most matches. -Graphics wouldn’t even drain the PlayStation 2’s power, much less anything more modern. -Classes are very artificial and seem more like sets of restrictions. -Too expensive for what it is. Unless you’re a die-hard fan of the series, there’s no reason to check this game out. If you have an old enough computer, this may appeal to you more strictly because you’ll actually be able to run it fluidly. Otherwise, I recommend that you stay away from the “Delta Force” series until it gets a major revamp.